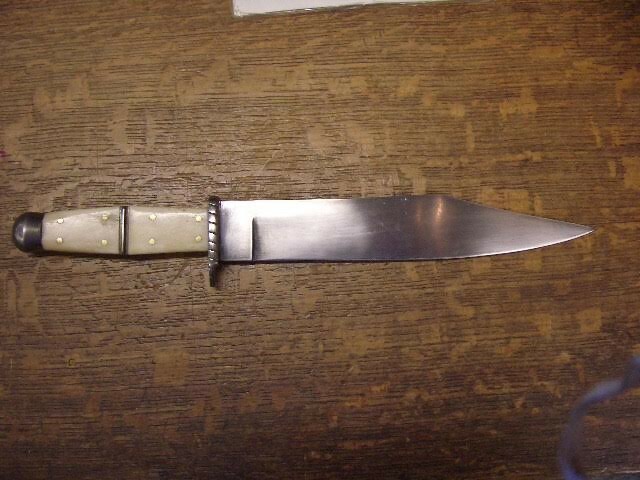 Handmade in the 19th Century A Bowie Knife 15”inches long with with Bone grips and brass studs. 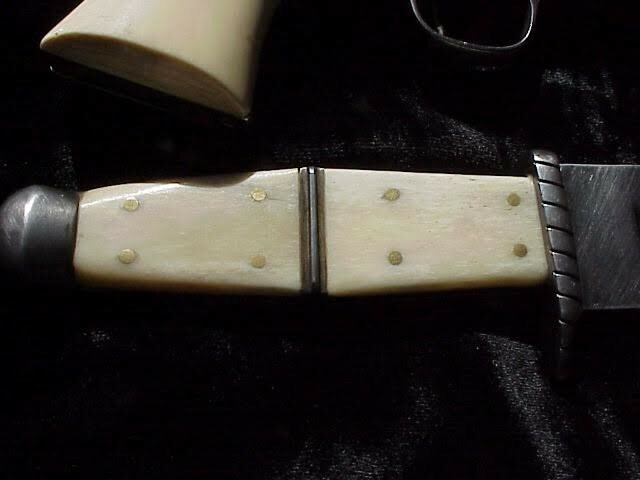 These knives were often used and carried by Mountain Men, Cowboys and Gamblers, just about anyone. The knives were also used to fight beast, intruders, or to cut up meat or food. It was common to have at least 2-4 various kinds of knives and dirks in the waist, another in each boot and another concealed for an emergency. 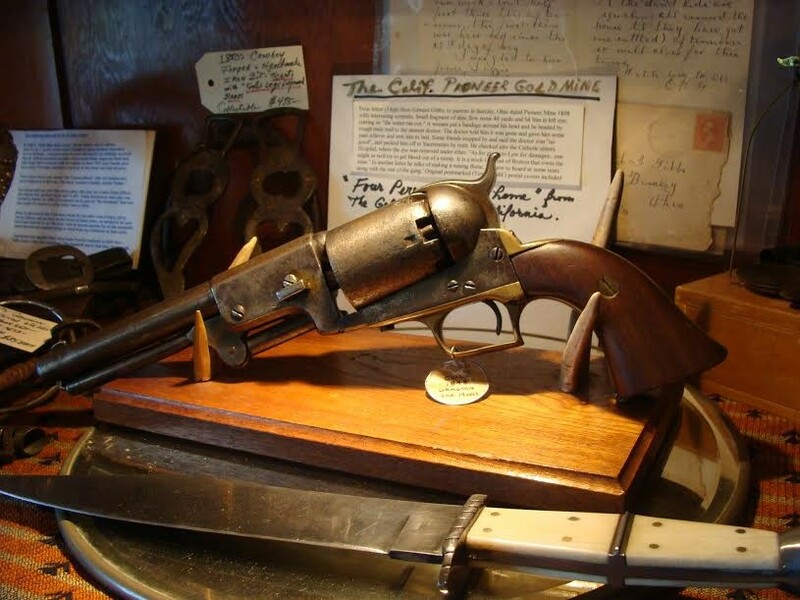 Knives of various sizes were as common as guns in the Old West. 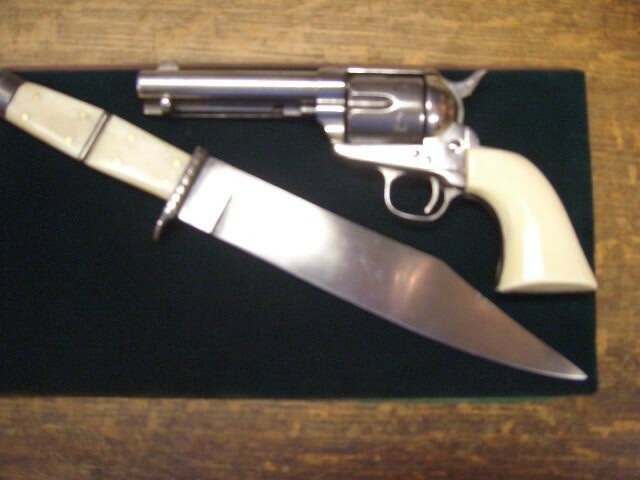 Handmade in the 19th Century A Bowie Knife 15”inches long with with Bone grips and brass studs. These knives were often used and carried by Mountain Men, Cowboys and Gamblers, just about anyone. The knives were also used to fight beast, intruders, or to cut up meat or food. It was common to have at least 2-4 various kinds of knives and dirks in the waist, another in each boot and another concealed for an emergency. Knives of various sizes were as common as guns in the Old West. Please email cowboycabin@centurytel.net with questions or call 406 270-2842.